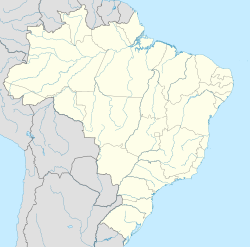 Querência do Norte is a municipality in the state of Paraná in the Southern Region of Brazil. ^ "Produto Interno Bruto dos Municípios 2002-2005" (PDF) (in Portuguese). Instituto Brasileiro de Geografia e Estatística (IBGE). December 19, 2007. Archived from the original (PDF) on October 2, 2008. Retrieved December 17, 2009. This page was last edited on 30 March 2017, at 02:38 (UTC).